Shopping for Justice League Mini-Figures? Recreate favorite Justice League Action stories with this 3-pack of Mighty Mini action figures! Each 3-pack features iconic DC heroes and villains based off of Justice League battles. Each character stands about 2-inches tall and features pop off joints for mix-and-match play. As a bonus, collect all the packs to build your own 3-inch Darkseid! 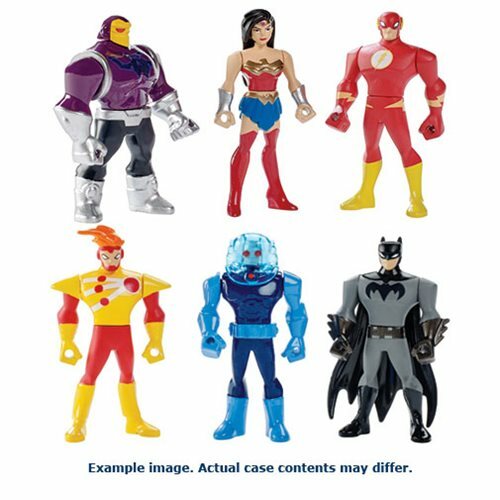 This Justice League Action Mighty Minis 3-Pack Case features 6 individually packaged three packs.